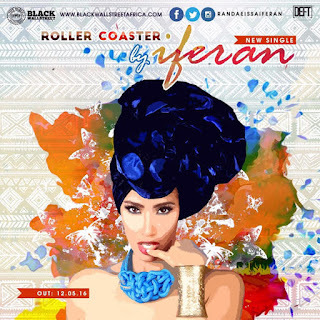 Egyptian / Nigerian songstress Randa Eissa A.K.A IFERAN debut her official single titled “Roller Coster” under BlackWall Street Africa. Iferan started music at a very tender age listening to the likes of Mariah Carey, Whitney Houston, Brian McKnight and some more great music icons. She has since then developed herself to be a voice to reckon with in the music scene at large. Iferan is a Miss Wanna Do It All & Have It All. She sings, models, writes lyrics, do her own melodies, and even composes music. She is a fast learner, she wants to learn everything, too ambitious, never stop dreaming, never stop fighting to make her dreams come true. Iferan is ready to take the Nigerian music scene by storm and she wastes no time in dishing out her official single under the Black Wall Street Africa. Her latest single “Roller Coaster” with a beautiful african/indian melody will definitely make you nod in affirmation that Iferan is here to stay with great music.